Avery Barry is an investment sales professional specializing in the disposition and acquisition of single-tenant net-leased properties nationwide. With an emphasis in Dairy Queen and Sonic, Avery has cultivated long-standing relationships with the industry’s leading private clients, developers, private equity firms, and REITs. 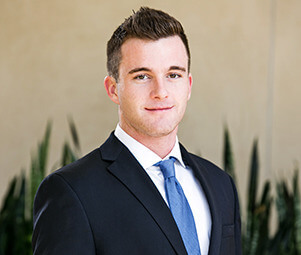 Over the course of his career and education, Avery’s entrepreneurial expertise had taught him the intricacies of business transactions and maximizing his client’s investment positions. Avery prides himself on his dedication, knowledge, and expertise of the market and Dairy Queen and Sonic properties.